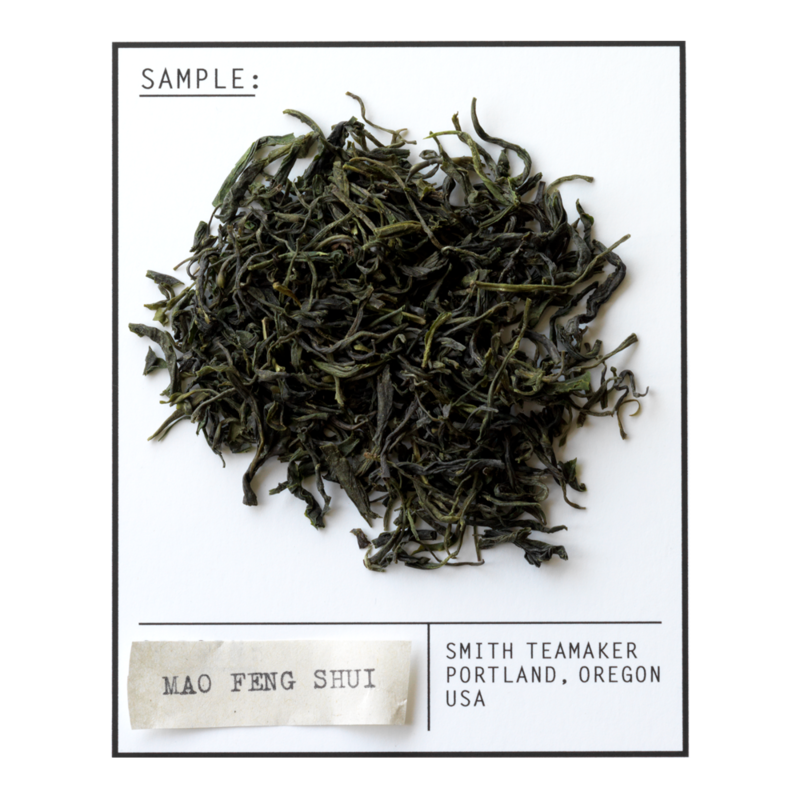 This spring harvested Mao Feng green tea from Zhejiang China has a slightly sweet, vegetative taste and aroma with a lingering fresh aftertaste. Carefully picked at high elevation, it is exceptionally rich in antioxidants for greater feng shui enhancement. The perfect alignment of two circles, symbolizing the harmonious balance of green tea and whimsy. Spring harvested full leaf green tea from China. For best flavor, bring spring or freshly drawn filtered water to 190 degrees. Steep three minutes. Arrange tea pot and cup as desired for deeper enjoyment.